The living legend just wanted one last taste of his own whiskey. Unfortunately the wonderful JD Honey Whiskey hadn’t been made yet, as that would certainly have sent him off on the right note. Daniel died from blood poisoning after a toe infection from kicking his safe when he couldn’t remember the combination. Ironically, as told on tours of his distillery, had he dipped his toe in his patented whiskey, he likely would have survived. Talk about calling your shot. A pretty ballsy move to say the least. If he had lived even two more days, he would have gone down in history as a sketchy heretic, only correct with a percentage of his forecasts. As it stands, Nostradamus is revered because he was even able to foretell his own demise. Mr. French shouted this to press members and other witnesses to his execution. I gotta admit, it’s a pretty funny line, but it really shows just how psychotic the dude was. I guess you have to give him some style points, but his landing was a little botched. 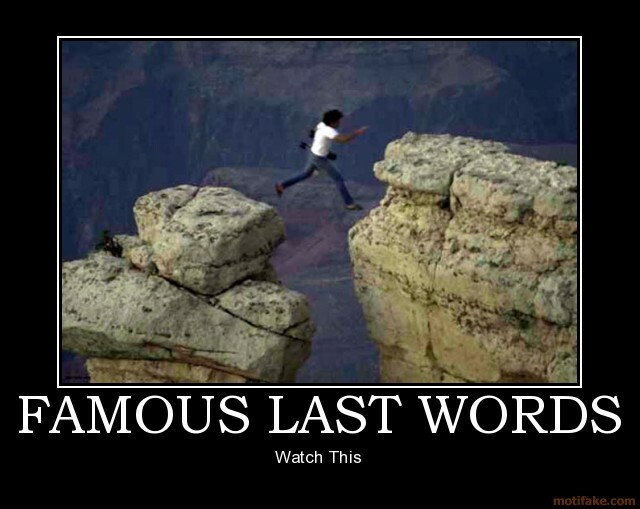 Death row inmates are lucky in that their final words will always be recorded. Once again, though, this guy proved his head really belonged in the noose. What did he have against Hoosiers anyway… that’s a good movie. This was President Kennedy’s reply to Nellie Connally, the wife of Texas Governor John Connally, when she stated, “You certainly can’t say that the people of Dallas haven’t given you a nice welcome, Mr. President.” I don’t think I’ve ever seen a more ironic outcome. Morrow was killed while filming an elaborate stunt scene for Twilight Zone: The Movie, when a helicopter crashed and tragically decapitated himself and a child actor, while also crushing another child. 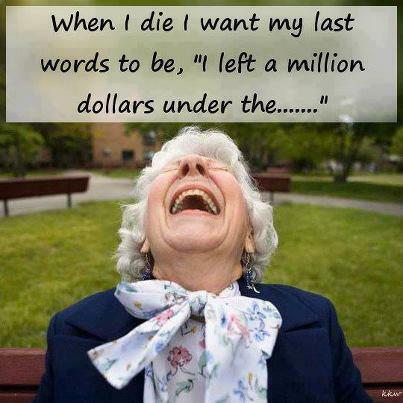 Sadly, Morrow thought his statement was just a joke, but instead it came true. It is scientifically proven that scotch keeps you alive longer than martinis… ol’ Bogie here might have been onto something. I think the key is to continue drinking both and then you have all options covered! I’ve decided that my final words – I’ve always been a planner – will be: “This is the song that never ends, yes it goes on and on, my friends…” and then I’ll just keep singing and living forever, only taking breaks to down another cocktail. Not a bad plan, eh!? The Absinthe Week shot was supposed to be something different, but on the fly I switched to this recipe and it was pretty good. 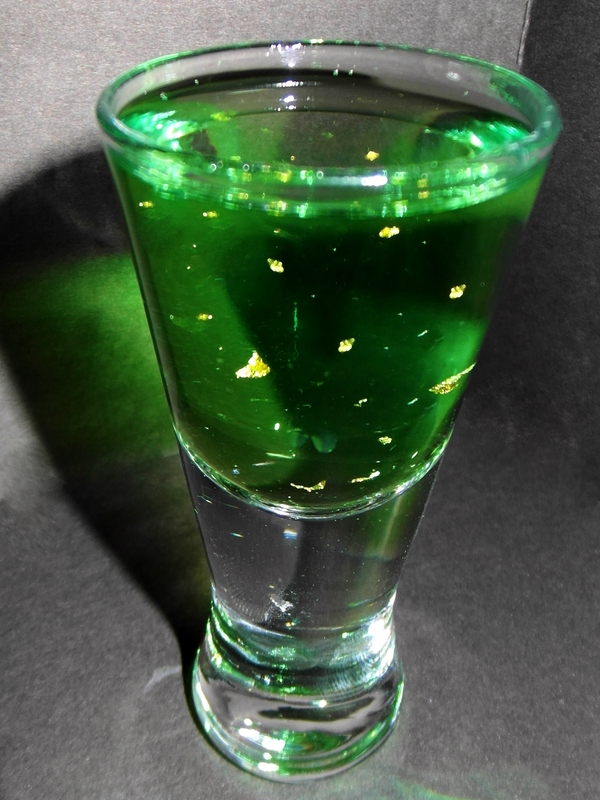 The name is perfect to match the taste and Mrs. Sip caught a perfect photo of the gold flakes within the shooter. This entry was posted in Shots & Shooters and tagged Absinthe, Absinthe shot, assassination, Carl Panzram, Dead Man Walking, Dead Man Walking shot drink, execution, Goldschlager, Humphrey Bogart, Jack Daniel, James French, John F. Kennedy, last words, martinis, Nostradamus, scotch, shot, Twilight Zone: The Movie, Vic Morrow, whiskey by Daniel Wilson. Bookmark the permalink.